Well, hasn’t this one been a long time coming? Obsidian Entertainment’s South Park: The Stick of Truth has been languishing in development hell since late 2011. What with THQ’s bancruptcy, Ubisoft’s James Bond-esque approach to providing a release date (do you expect me to talk?) and such, we were beginning to think we’d never see it. But it’s here. Still if you wish hard enough, and your heart is pure, wondrous things can happen. And not only if you’re a sappy princess in a Disney cartoon. Because, lo, The Stick of Truth is finally settled on an early-March release. Let’s take a look at what all the fuss/Internet whining has been about. This irreverent RPG focuses upon ‘New Kid’, who has just moved into the mountain town with his parents. After being cajoled into heading into the neighborhood to make friends, he meets Butters the Paladin and Cartman the Wizard King. 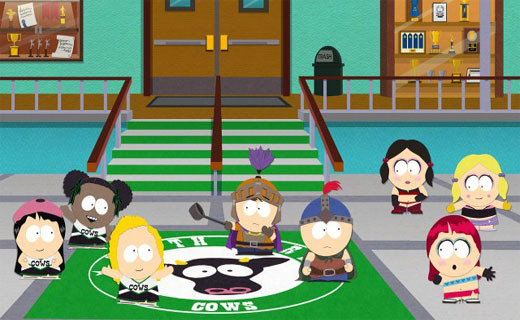 This being South Park, a simple role-playing game swiftly becomes all kinds of nutty. 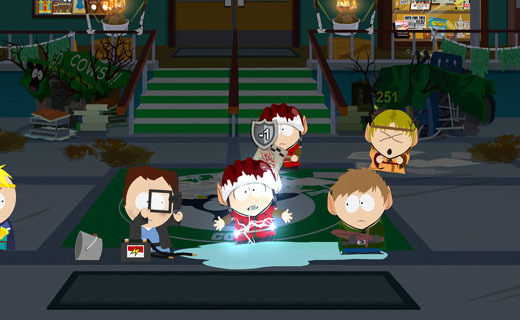 Cartman’s human warriors are embroiled in a conflict with the Elves, for possession of the Stick of Truth. While it looks –to regular mortal eyes– like just a darn stick, this ancient relic grants one control of the universe. As the game begins, it is stolen from the warriors’ stronghold; and so begins a campaign against Kyle’s Elves to retrieve the legendary treasure. The most exciting aspect of Stick of Truth is how faithful it is to the show. Previous efforts have been fairly appalling. The minigame shenanigans of Chef’s Luv Shack and the kart-racing calamity that was South Park Rally did nothing for the series’ gaming reputation. I enjoy firing underpants gnomes at fellow racers as much as the next guy, but these just didn’t feel right. Still, there have been some fancy-schmancy advances in technology since those dark days. As such, this will be the first release to look remarkably like the show itself, down to that trademark cut-out animation. Along with Trey Parker and Matt Stone’s increased involvement, this makes Stick of Truth quite a love letter to fans, and the first the series has really received. Earlier efforts were less ‘love letter’ and more ‘soiled piece of paper with we hate you all written on it,’ after all. There’s much riding on the game all round. The gameplay that has been revealed thus far really does look like you’re playing through a South Park episode, which is something video games generally screw up spectacularly. Even more miraculous, it’s a solid (if ridiculous, of course) RPG in its own right. Obsidian have previously created the likes of Fallout: New Vegas and Star Wars: Knights of the Old Republic II, so our favourite crude kid quartet were in good hands. For once. It has all the familiar role-playing trappings, but with the cheeky and bizarre twists you’d expect. You’ll be collecting a myriad of armor, weapons and equipment options, following your objective menu, talking to far too many NPCs, all of that good stuff. But you’ll also be equipping some very suspect things to your bows and spears to increase their ‘gross’ stat, and be put down by King Cartman every opportunity he gets. In short, this much-anticipated release could be a lifeline for everyone tired of the disappointment of licensed games. Which is everybody. 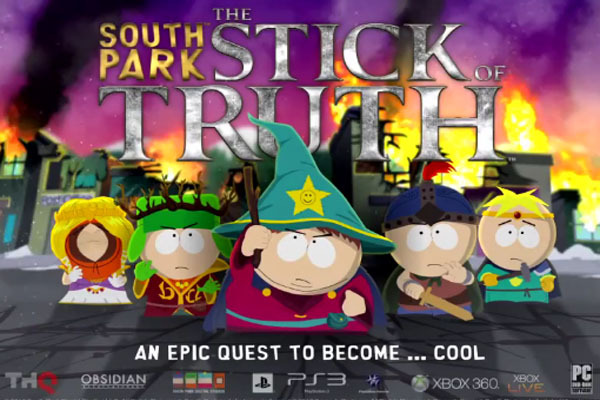 So if you only buy one game in March, make it South Park: The Stick of Truth. Previous articleTitanfall Guide: What’s the Best Pilot/Titan Combination for You?